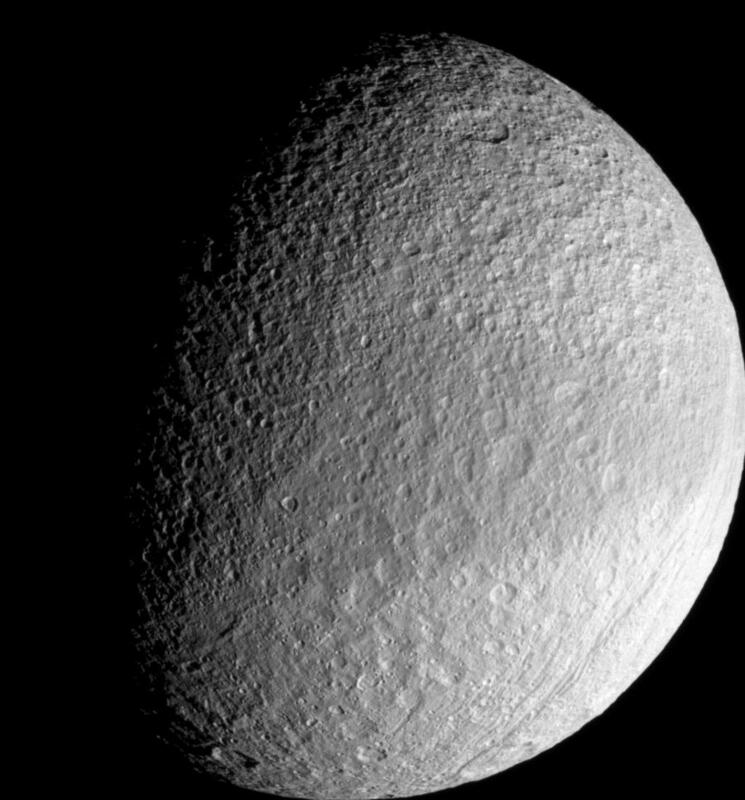 Around the equator on its leading side, Tethys wears a band of slightly darker surface material. Cassini imaging scientists suspect that the darkened region may represent an area of less contaminated ice with differently sized grains than the material at higher latitudes on either side of the band. 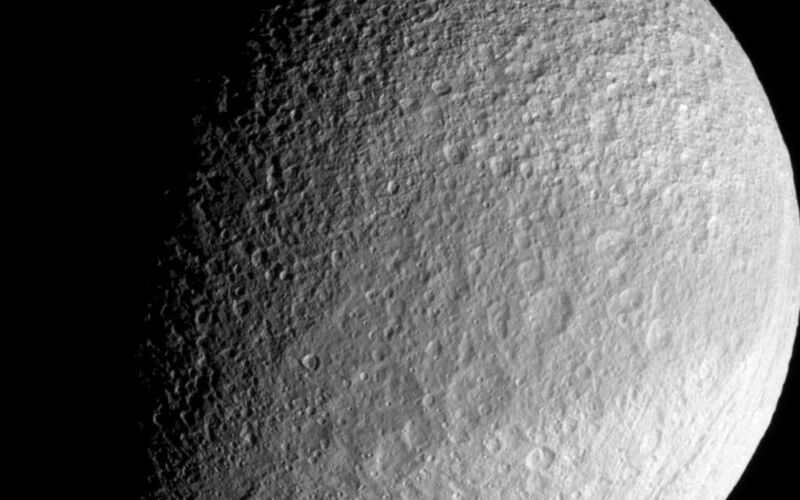 Lit terrain seen here is on the Saturn-facing side of Tethys (1071 kilometers, or 665 miles across). North is up. Part of the great canyon system Ithaca Chasma can be seen near the eastern limb in this frame-filling view. 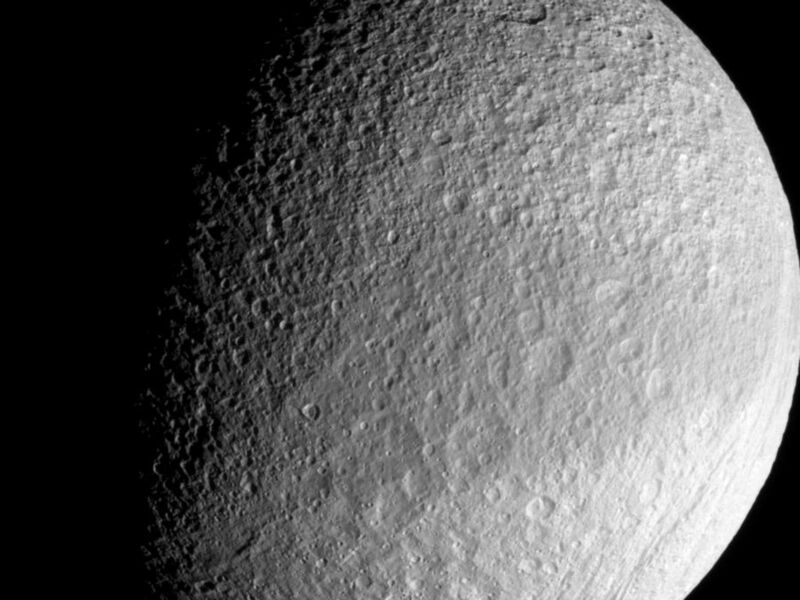 The image was taken with the Cassini spacecraft narrow-angle camera on Sept. 30, 2007 using a spectral filter sensitive to wavelengths of infrared light centered at 930 nanometers. The view was acquired at a distance of approximately 186,000 kilometers (116,000 miles) from Tethys and at a Sun-Tethys-spacecraft, or phase, angle of 62 degrees. Image scale is 1 kilometer (0.6 mile) per pixel.